A retro caravan with a great feel. It will be a fantastic companion on your journey. Plenty of coastline to explore and this caravan allows you to pull up anywhere and enjoy. The security bond for this vehicle is $500. The bond will be refunded after your trip ended and needs to be authorized at least 2 days before your trip starts. We had the easiest experience with Camptoo and the caravan was perfect in every way. I certainly will be recommending it to others. 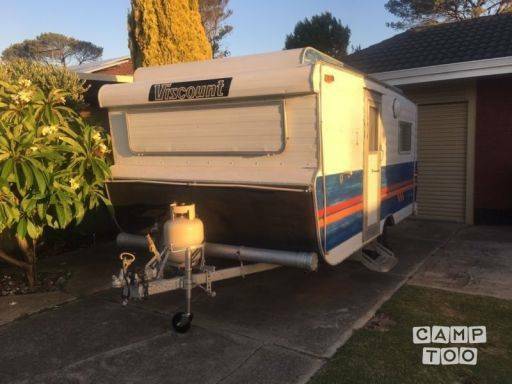 You can pick up the caravan in Kewdale at Melissa's place.